I have to admit, I was a little bit late to the party with gin. It's been super popular over the last few years, but I've pretty much avoided it like the plague since my uni days. I remember I really, really wanted to be 'in to' gin when I was in second year - so I used to drink it at 'pre-drinks' to absolute excess and would wake up in the morning either depressed (which explains why they call it Mother's Ruin) or with the hangover from hell. Recently though, now I've learnt my limits, I've discovered that gin & I actually do get along. 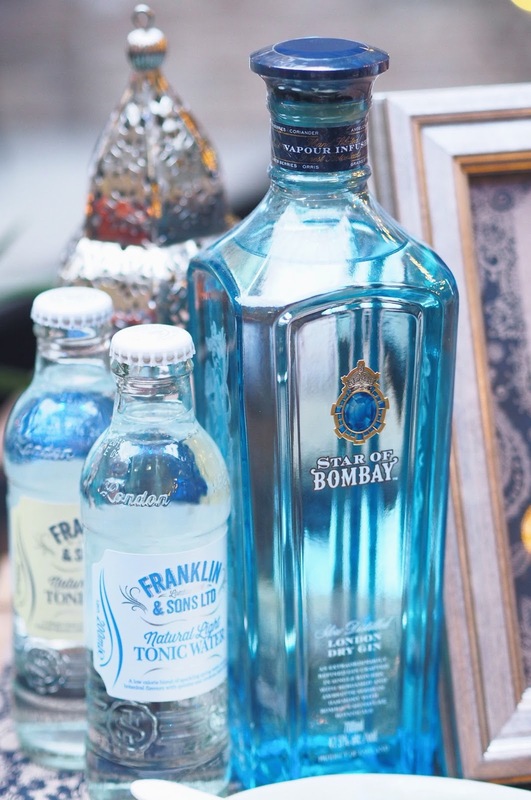 To put this new found love to the test, I headed down to the Franklin & Sons Penny Farthing Supper Club to celebrate two of India's greatest exports: tonic and curry. 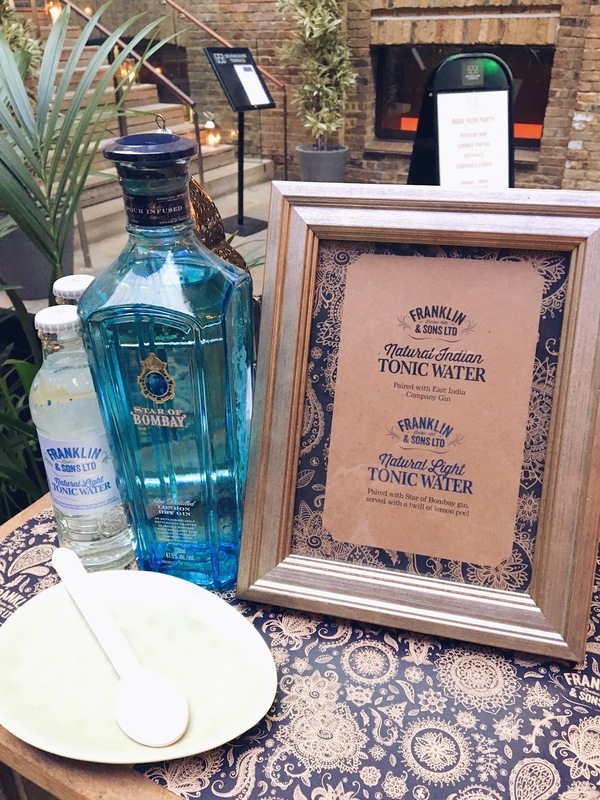 The team at Cinnamon Kitchen were on hand serving up delicious Indian Street food while Franklin & Sons created G&Ts using their award-winning range of tonics and mixers. 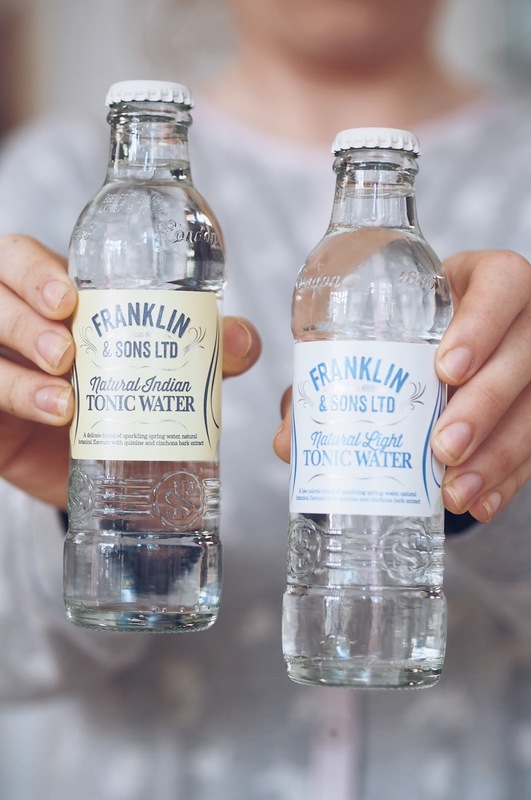 Franklin & Sons pride themselves on only using the finest natural ingredients to bring out the very best in spirits like Gin and Vodka. Pink peppercorns immediately make me think of holiday. 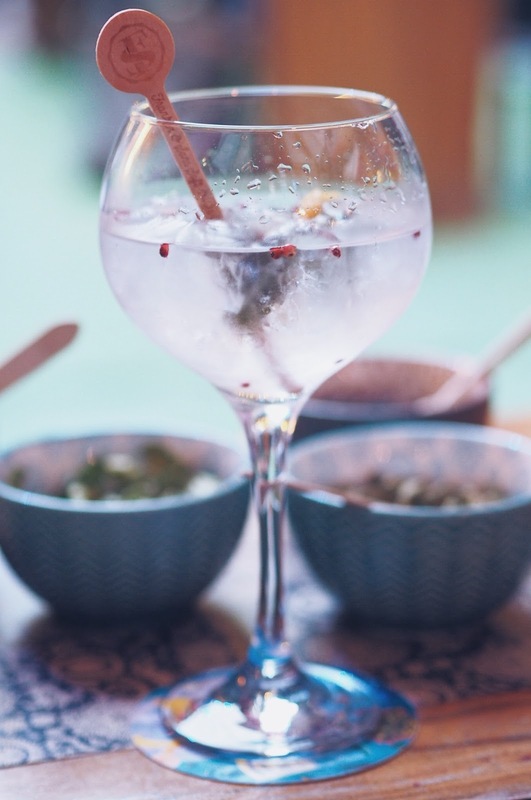 Every G&T I've had out in Spain has come served with gorgeous pink peppercorns which add a lovely sweet, fruit aroma. 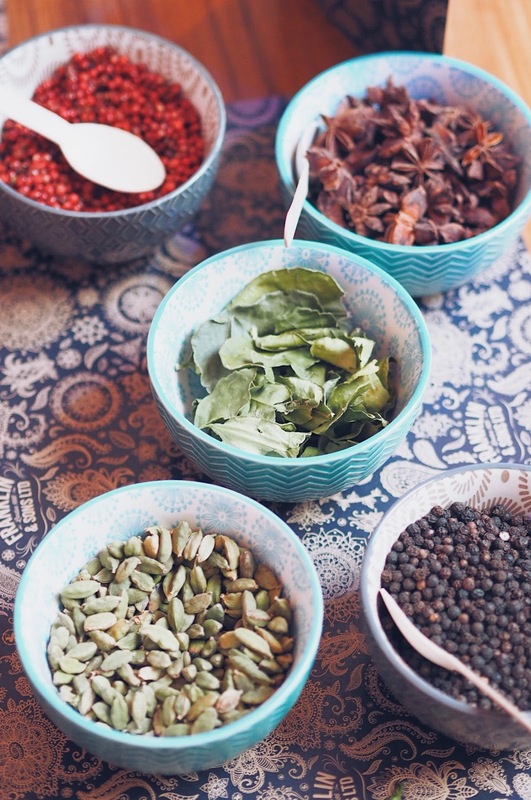 You can also add black peppercorns to your gin for a savoury kick or Sichuan peppercorns for a little added heat! Cardamom has a really strong, intense flavour and works brilliantly with citrus. Green cardamom seeds tend to have a slightly eucalyptus taste whereas black cardamom has a more smoky finish. Give the leaves a little rub to bruise them up a bit - then pop them in your drink and they'll bring a lovely citrus zing to proceedings! I love Star Anise. It tastes a little like licorice and adds a really fragrant kick when you add to a G&T. Not only that but it reminds me of Christmas and is also one of the prettiest garnishes you can add to your drink! What other garnishes do you love in your G&T? I'd love to hear your favourite flavour combinations! I always love a bit of watermelon and some cucumber in my gin, although that is pretty summery, and perhaps a little less suitable for the colder months. I LOVE watermelon with gin! I only tried it recently but it's so delicious. Can't beat a classic slice of cucumber with Hendricks too! Depends entirely on the gin! Some need fruity, others need savoury. At the moment I'm loving Campfire gin - perfect with orange!